You are subject to Arizona income tax on all income derived from Arizona sources. 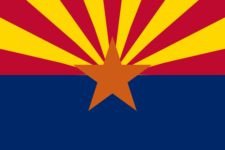 If you are in this state for a temporary or transitory purpose or did not live in Arizona but received income from sources within Arizona during 2014, you are subject to Arizona tax. Never forget to file AZ 140NR again.